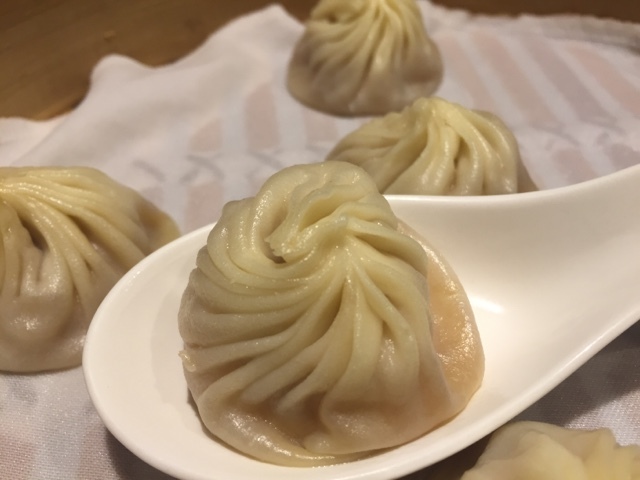 If you are in Taiwan, the original flagship store Din Tai Fung (鼎泰豐) is a must try. The Michelin-starred Restaurant, Din Tai Fung was founded as far back as 40 years ago by a man called Bingyi Yang. In 1993, The restaurant is the only Chinese-run restaurant to be rated as one of the world's Top Best Restaurants by the New York Times. Further international recognition came in 2010, its Hong Kong branch was awarded one Michelin Star that no other Taiwanese restaurant has ever received this accolade. Over the years, it has branches all over the world - Japan, United States, South Korea, Singapore, Hong Kong, Indonesia, Malaysia, Australia and Thailand. The restaurant is very popular amongst Japanese tourists even though it has branches in Japan. 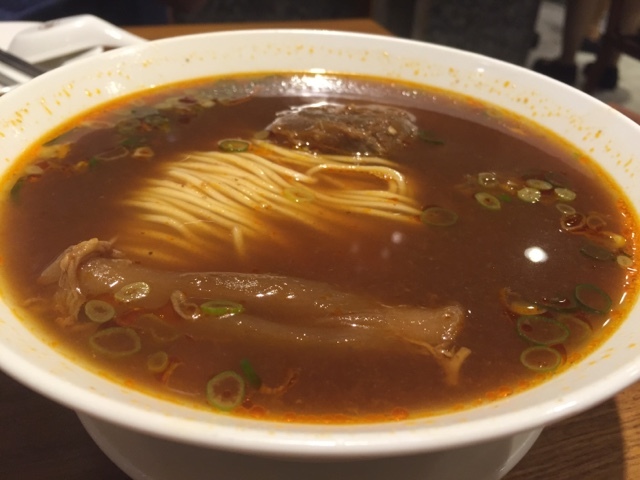 According to local news, the restaurant was second in popularity amongst the Japanese tourists in 2015 (Ah Chung Oyster Vermicelli first). This survey was conducted with seasoned Japanese travellers to rank the most popular food places to visits in the city. 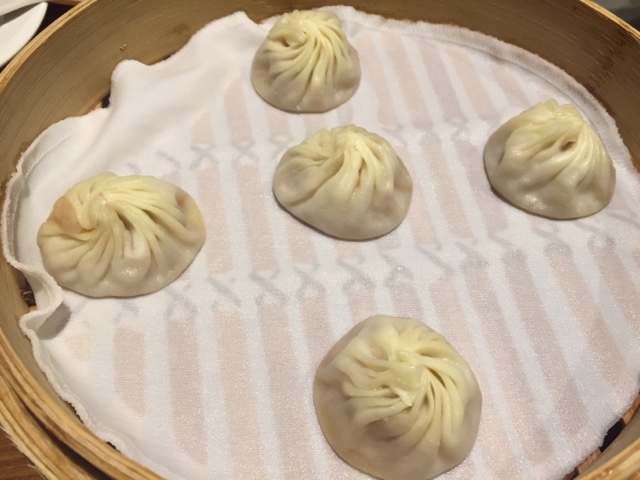 According to the restaurant website, Din Tai Fung was originally an oil shop before it became a xiao long bao or steamed pork dumplings (小籠包) restaurant. 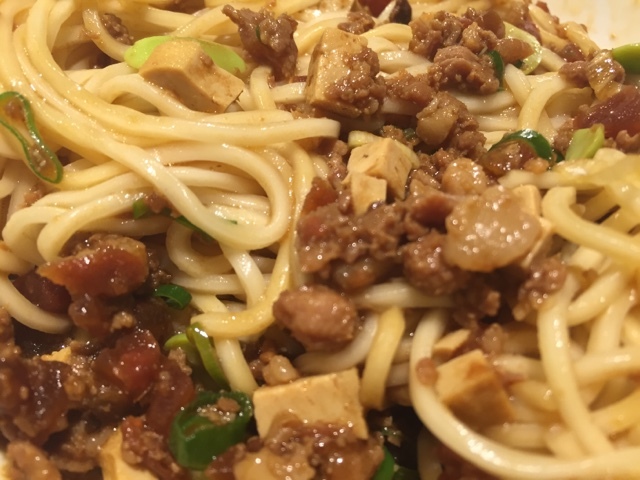 The name - Din Tai Fung was derived from the wholesale oil Bingyi purchased from Din Mei Oils and his first boss Heng Tai Fung, with whom he appreciated. It was until his oil business plummeted that he turned half of this shop towards making and selling steamed pork dumplings. His food business took off through word-of-mouth and it grew to what it is today. The exquisite steamed pork dumplings went through six precise preparatory steps before they were served to customers. One of them include the pleating with a minimum of 18 exquisite folds, which the dumplings were finished with a twist at the top. Like a typical tourist, my friend and I went to the outlet at Shin Kong Mitsukoshi (新光三越) next to Zhongshan MRT station. It was quite crowded but the turnover was very high. We merely waited for ten minutes before we were ushered to our table. Despite having high customer turnover, the staff were constantly at work. Each and every one of them knew what to do. I was fascinated and wondered what would motivate them to have such drive. They were quick to clean the table, served food to the customers and did not hesitate to introduce the food to tourists. I was very impressed. There was a vast difference in the service I received from Din Tai Fung in Taiwan and Singapore. 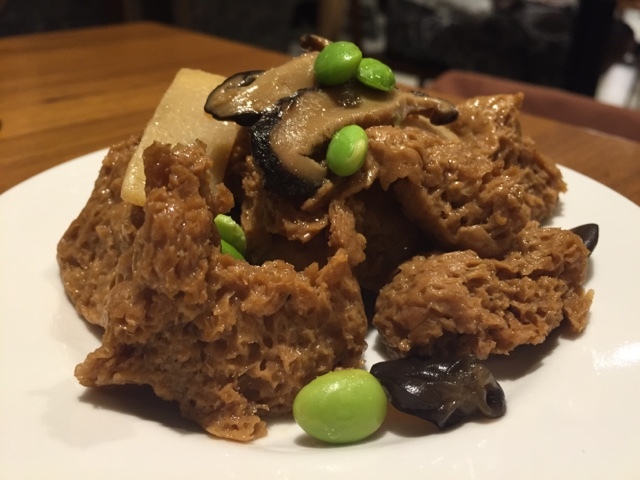 The restaurant in Taiwan had a more friendly and service-oriented staff than in Singapore. Even their trainees were more enthusiastic in serving the diners. 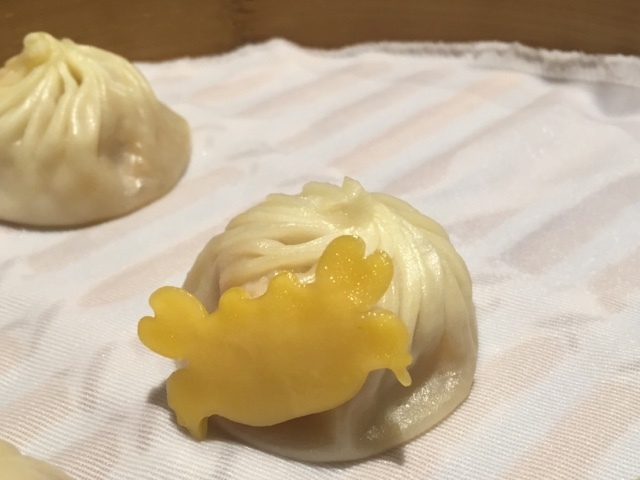 Famous for its exquisite pork dumplings (小笼包), the restaurant continues to prepare the dumplings using its 6-step preparation process strictly. Each dumpling is weighed to ensure quality control. More like precision engineering, the restaurant makes sure that every dumpling is of the same weight, shape and quality. When the lid was lifted from the bamboo steaming basket, steam gushed out, implying freshness. Then top the dumplings with ginger slices, before putting them in your mouth. The pork dumplings are usually eaten with black rice vinegar. 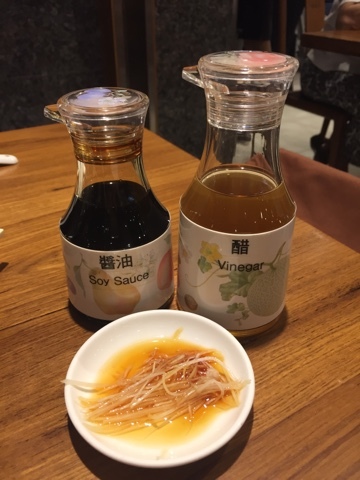 However, light soy sauce was added to the vinegar with ginger slices in Taiwan. There were a amalgamation of tastes , salty at first, then sourness and finally, spicy with pungent taste from the ginger slices. This amalgamation of smell and taste was interesting and tasted nice when dipped with the pork dumplings. In China, the pork dumplings were eaten with black rice vinegar only. However, the condiments in Taipei or Taiwan was a little different. The difference was to add soy sauce with the vinegar. The instructions were: pour the soy sauce for 1 sec and then the vinegar for three secs. The mixture was light and yet a little savoury. It was as good as the original (vinegar only). 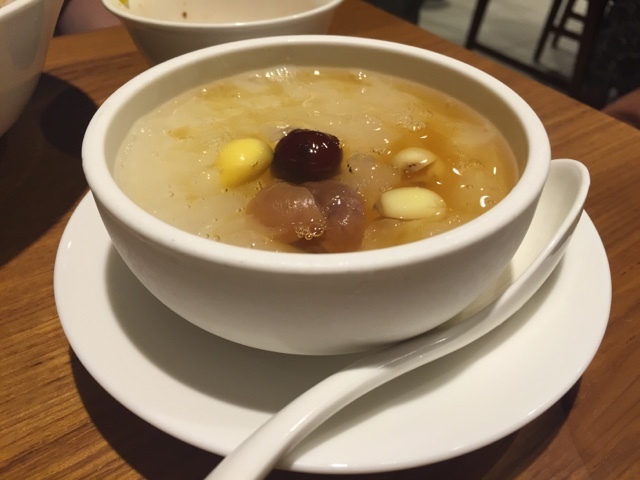 We ended the meal with a nice cool dessert, Ai-Yu with longans, lotus seeds and red dates. It was to quench the heat from the hot summer. The busy restaurant with never-ending customers strolling in. Atmosphere A busy restaurant built around an open concept kitchen. Servers are welcoming and knowledgeable.